I always rave about Perth, my favourite Australian city – but Hobart’s pretty special as well. 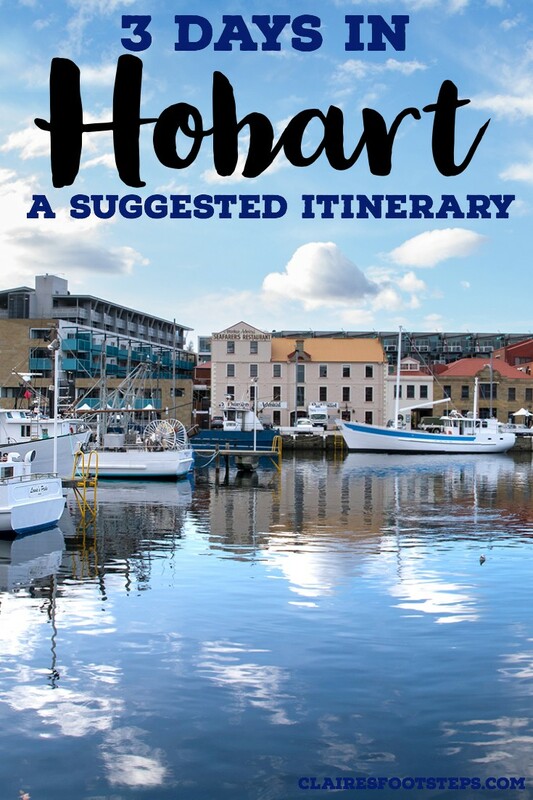 Unfortunately, I only spent a couple of days here on my Tasmania road trip – so Kristy, who knows Hobart very well, has provided us with an itinerary for 3 to 4 days in Hobart! Take it away! I’m a Tasmanian local and I lived in the capital city of Hobart for over six years. While I now live overseas this doesn’t mean I love Tassie and Hobart any less! I will happily rave to anyone who wants to listen about how great Tasmania and its capital are, and why you should definitely visit. In this post I’m going to give you all my local insider knowledge of the best things to see and do on a four-day trip to Hobart. These are the exact places I would take you if I was able to show you around all my favourite places in Hobart! I’ve organised this itinerary as though you are visiting for a long weekend (so day one is a Friday) but obviously you can change the order around any way you want. 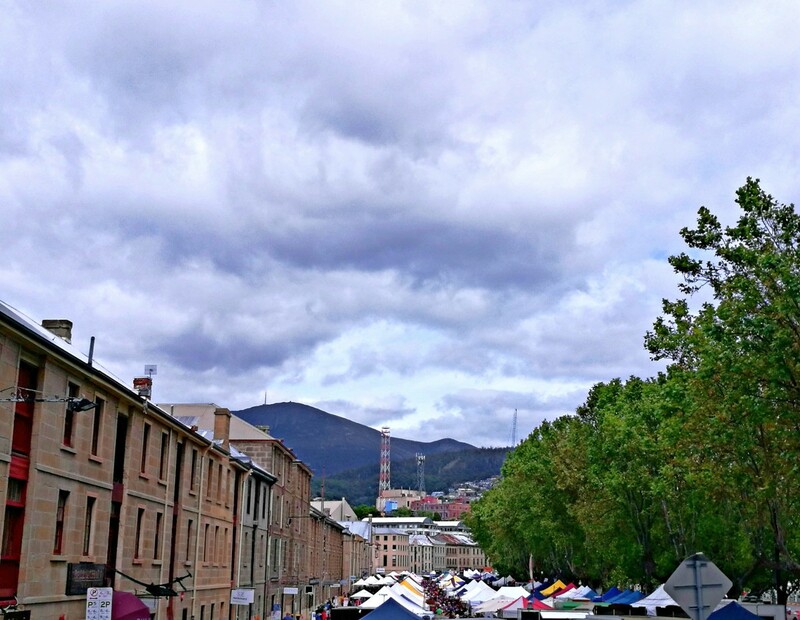 Just make sure you visit the Salamanca Markets (from day two of this itinerary) on Saturday if you are in Hobart on a Saturday! 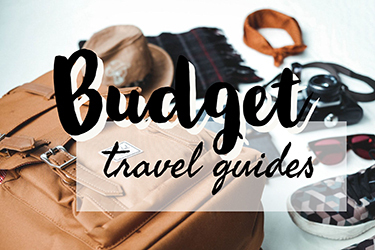 You will also most likely need to rent a car while in Hobart to do some of these activities. It is possible to see a lot of Hobart without a car, (the city centre and wharf area is easily walkable and the buses go to a lot of places I mention) but you will have to miss a couple of sights like the view from the top of Mount Wellington – which is amazing! Hiring a car for just a couple of days shouldn’t be too expensive, you can hire them at the Hobart airport or catch the airport shuttle bus and hire from one of the companies in the city centre. Start off your morning at the Hobart wharf area and fuel up at Cafe Lola. They have yummy smoothies and a great breakfast menu with vegetarian, vegan, gluten free and dairy free options. For your first day in Hobart you might as well jump right into one of the biggest attractions of the city (and state): MONA: the Museum of Old and New Art! This world-class art gallery/museum was founded by Tasmanian millionaire David Walsh to showcase his private art collection to the public and is filled with interesting, beautiful, confronting, weird and wacky exhibits. It is a rather pricey attraction for non-Tasmanians (it’s free for Tasmanian residents, sorry! ); it costs $28 for adults. However, it’s one of the most fascinating museums I have ever been to and visitors from around the world come to marvel at the collection. The museum is located a bit out of the city, you can either drive out if you have a car, or take the Mona Roma, a ferry from the Hobart waterfront to the museum. Taking the ferry is a fun event in itself; there are groovy sheep statues to sit on and you can also enjoy drinks and nibbles during the 25-minute journey along the Derwent River. The ferry is also a bit pricey (even the standard fare is $22), so if you’ve hired a car for your time in Hobart this might be a better option. 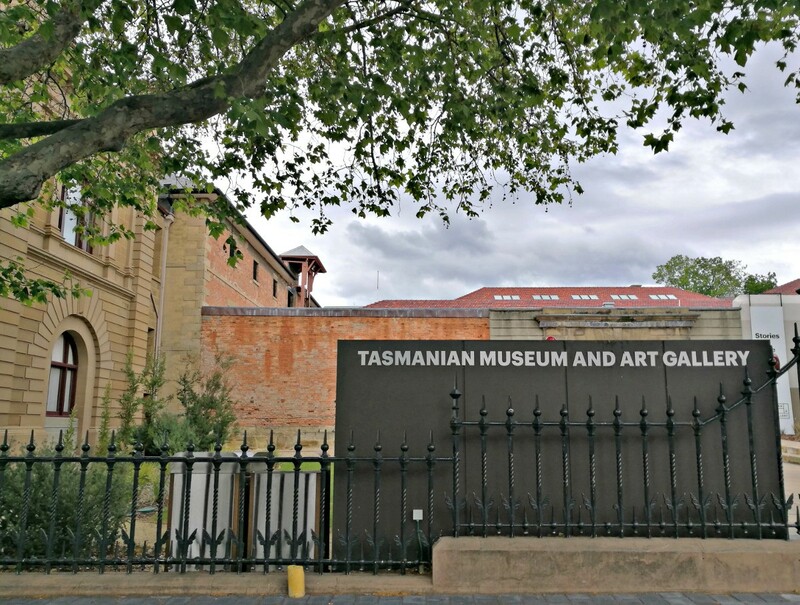 If you’re looking for more of a budget art/museum experience you can always skip MONA and enjoy the Tasmanian Museum and Art Gallery (or TMAG) for free! It’s located on the Hobart waterfront not far from where the Mona Roma departs and is a great place to learn more about Tasmanian history, wildlife and art. There’s also a very cool exhibition about Antarctica, since Tasmania shares a fascinating history with the frozen continent! If you do visit MONA you can easily spend at least half (or more!) of the day there. Have lunch at The Source restaurant for amazing Tasmanian produce (it has an emphasis on seafood but there’s also quite a few vegetarian options) or the museum cafe for something a bit cheaper. The museum cafe also has a great little area outside where you can relax on bean-bags on the grass and look at the river views if you need a break from the art! Click here for information about MONA. Then head back to the city to explore North Hobart, a foodie mecca! There are lots of different restaurants and cafes to choose from but a popular vegetarian-only restaurant is VegBar. Pancho Villa is a Mexican restaurant which has lots of vegetarian, vegan and gluten-free options plus amazing cocktails! After dinner you can explore the laneways with graffiti art, maybe have a drink and listen to live music at the Republic Bar or even catch a movie at the beautiful State Theatre. There’s a rooftop cinema and bar here, and you can even take your coffee or wine into the screenings! It’s Saturday which means getting to the Salamanca wharf area nice and early so you can explore the markets, cafes, shops and galleries! You might like to explore one of many cafes in the beautiful old sandstone warehouses which line the wharf here for breakfast, or there are plenty of different types of food stalls throughout the market, often with vegetarian options. With around 300 stalls every Saturday, this might not be the biggest market ever but it is filled with quality and a great atmosphere. Locals and tourists alike flock here every weekend to buy fresh groceries, gifts and clothing; to sample Tasmanian produce and listen to buskers. It will take you a couple of hours to stroll among the stalls, but make sure you also take time to pop into the many galleries and shops in the converted warehouses. There’s also a little square tucked behind the main drag (Salamanca Square) which is worth exploring too. Some of my favourite shops include Norman and Dann (a specialty chocolate shop!) and the Hobart Book Shop – for all sorts of books but especially ones that are by Tasmanian authors or about Tasmania! Make sure you also check out the Salamanca Arts Centre and Spacebar Gallery for current art and photography exhibitions. If you can tear yourself away from the markets in the afternoon then head up Kelly’s Steps to explore one of the prettiest and most historic Hobart neighbourhoods. Battery Point is filled with beautiful Georgian cottages, many made from sandstone, and other gorgeous houses and gardens. If you still have room after the markets then Jackman and McRoss is a lovely bakery in Battery Point that is very popular with the locals. Grab a fresh sandwich/roll or something sweet and then have a wander around this neighbourhood. If you’re especially interested in the history of the area then you might like to visit Narryna Heritage Museum to see what life in colonial Hobart was like. In the afternoon/evening drive up to the summit of Mount Wellington in time for sunset! The views from up here are amazing but it will get cold so make sure you have some warm layers. If you’re visiting in winter you may even get to see and play in the snow! Head back to Salamanca afterwards for dinner and drinks. There are a number of nice pubs and restaurants here, such as Jack Greene which has awesome decor, adorable mini burgers and a number of vegetarian options. Or if you like Indian food then Annapurna a little further up the road is my favourite Indian place in Hobart! They have lots of vegetarian options and the food is amazing. You’ll want to save room for dessert so you can try out Honey Badger Dessert Cafe though – it’s a Hobart institution! They have lots of mouth-watering desserts but my favourite is definitely the panookie; a cookie baked in a tiny pan and topped with ice-cream, sauces and (depending on which flavour you get) fairy floss, marshmallows or salted caramel beads! They cater to many different dietary requirements here (including vegan and vegetarian) and it’s also a great spot for breakfast in the morning. Once you’ve eaten as much as you can you might like to try some Tasmanian whiskey at the Lark Distillery or go on a ghost tour of Hobart and Battery Point to learn all about the most grisly and haunted history of this colonial town! Start your morning with coffee and breakfast at Straight Up, a 100% vegetarian cafe in the city. Stroll around the CBD for a little while to see the shops, one of my favourite spots is Criterion Street, where there are some very cute little boutiques selling Tasmanian products, such as the Red Parka shop. 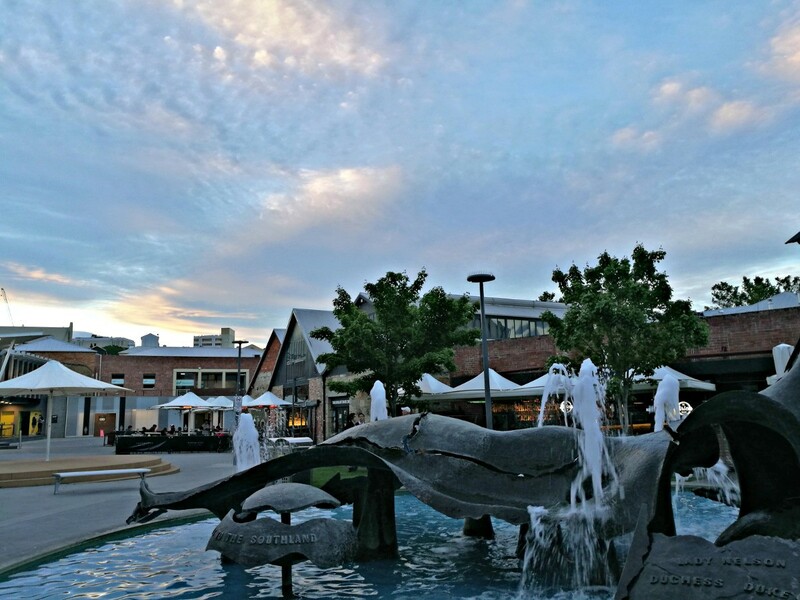 Wander back down to the waterfront to explore the area opposite Salamanca, especially the Tasmanian Museum and Art Gallery (which is free!) if you haven’t been there. Wander across to Hunter Street to take a peek at the Henry Jones Art Hotel (there’s a lovely cafe/shop) and the University of Tasmania Fine Art school located in the old IXL canning factory! There’s often exhibitions of student work and the historic buildings here are really beautiful. Grab lunch on the go or head out to the Royal Tasmanian Botanical Gardens and eat at the restaurant Succulent. They have some vegetarian options or you might prefer to buy some yummy salads or other picnic foods at Salamanca Fresh before you go and enjoy a picnic in the 34 acres of gorgeous gardens at the Botanical Gardens. I have lots of childhood memories of picnics here, as well as enjoying the Japanese Garden and the duck pond! If you’re more interested in seeing a pretty suburb of Hobart you can drive (or catch a bus) down through Sandy Bay and Lower Sandy Bay to visit Nutgrove Beach, a local favourite. If you continue driving this windy and picturesque road through Taroona you will also come to the Shot Tower which you can visit and climb up for more gorgeous views over the channel and river. Afterwards, keep driving until you come to the suburb of Kingston and Kingston Beach which has lots of cafes and pubs lining the beachfront. The Salty Dog is my favourite, a pub with a beer garden and lots of vegan and vegetarian options. You’ll need to check their Facebook page for the latest menus. Have dinner here and on your drive back to Hobart you might like to stop off at the Wrest Point Hotel Casino for a nightcap in the groovy Birdcage Bar; which often has live piano and very cool decor! Alternatively you could have dinner at Wrest Point as well, the Revolving Restaurant is pretty expensive but relative newcomer Kwan Ho Restaurant specialises in Chinese cuisine with lots of veggie options! I hope you enjoyed this Hobart 3 day itinerary! However, if you’re not completely satisfied and want to spend 4 days in Hobart, here’s an extra day for you! 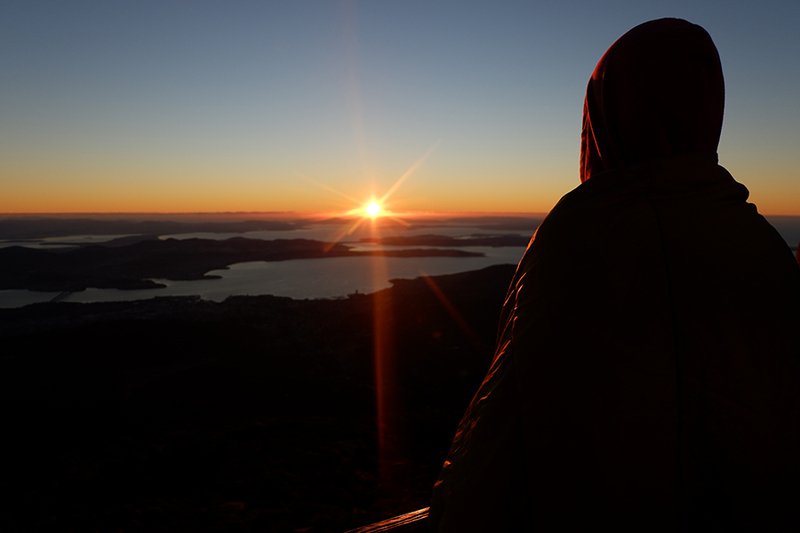 Head up to the Mount Nelson signal station for morning views and breakfast today; but not too early if you had a late night! You can catch a bus to the signal station if you don’t have a car, and this is a lovely spot to look over Hobart and the Derwent River without many tourists. The Signal Station Brasserie has lots of yummy breakfast options (many vegetarian) and this is a lovely place to relax before heading to South Hobart to visit the Cascades Female Factory Historic Site. This is a very interesting site to find out about Hobart’s penal colony past (especially if you don’t have time to visit Port Arthur on the Tasman Peninsula). It’s also a great way to find out more about the female convicts that were sent to Tasmania, since Port Arthur (and many history books) tend to focus on stories about male convicts. 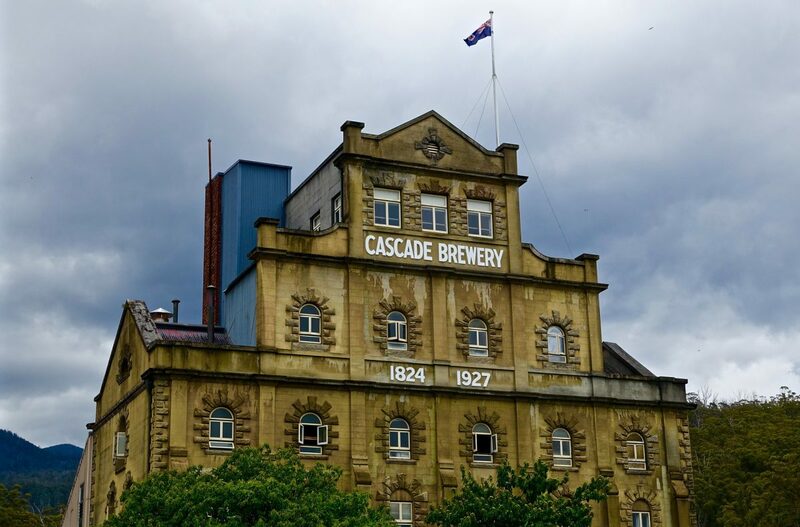 When you’ve finished learning about the female convicts you can take a short stroll up the road to the Cascade Brewery for a brewery tour if you are interested in the story of this Tasmanian beer! The building and gardens are beautiful (with Mount Wellington as a gorgeous backdrop) and you could also have lunch in the cafe after your tour. Or try out one of Hobart’s most popular vegetarian/vegan cafes head: Honey Brown! It doesn’t have a website but it’s located at 4 Cascade Road, right by the hospital. 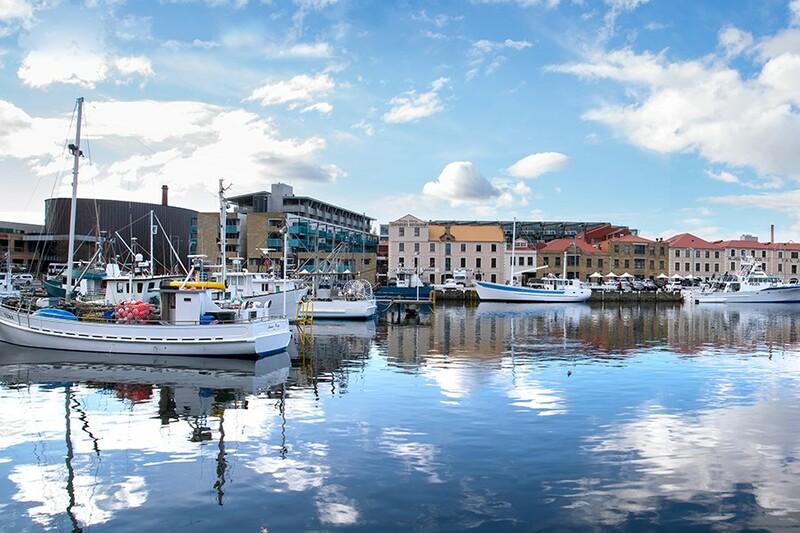 For your last night in Hobart check out any of the places you didn’t get time to do before, maybe have a final stroll along the docks or a vegan/vegetarian banquet at Aloft! For dessert stroll along to Mures (it has a big metal seahorse out the front) and check out their extensive ice-cream bar! Depending on when you visit Tasmania (and you might want to time your visit for one of these events) there are some pretty awesome seasonal events such as the Taste of Tasmania and Dark Mofo where lots of cool things happen! The Taste of Tasmania takes place every year between the 28th December and 3rd January and is a massive food festival where you can (not surprisingly) taste lots of different Tasmanian food and drinks! The event also attracts buskers/performers from around the world and features concerts as well as a big party on New Year’s Eve, right by the waterfront where you can watch the fireworks. The event also coincides with the Sydney-Hobart yacht race, so you can watch the race finish or just stroll along the docks to see the yachts after they come in. The weather is usually lovely this time of year and locals and tourists alike flock to the Elizabeth Street Pier to hang out and sample lots of delicious food and drinks. Read more about the Taste of Tasmania here. Dark Mofo is a winter festival organised by MONA which features a lot of similar events as the Taste, but during winter (duh)! The emphasis is much more on art installations and performances, but there is a winter feast as well and the whole event is a great way to get people out and enjoying the city during a time when everyone is usually snuggled up by the fire! Read more about Dark Mofo here. If you have more time (or just want to swap some of the activities for something else) there are some great parts of Tassie you can explore as a day-trip from Hobart. 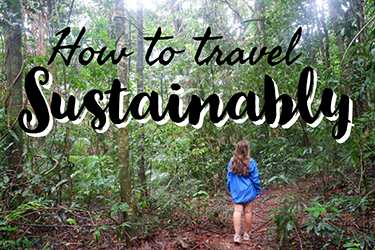 Most of these you can organise tours for, or just do it yourself if you have hired a car. Here are my favourite places for a day-trip from Hobart! 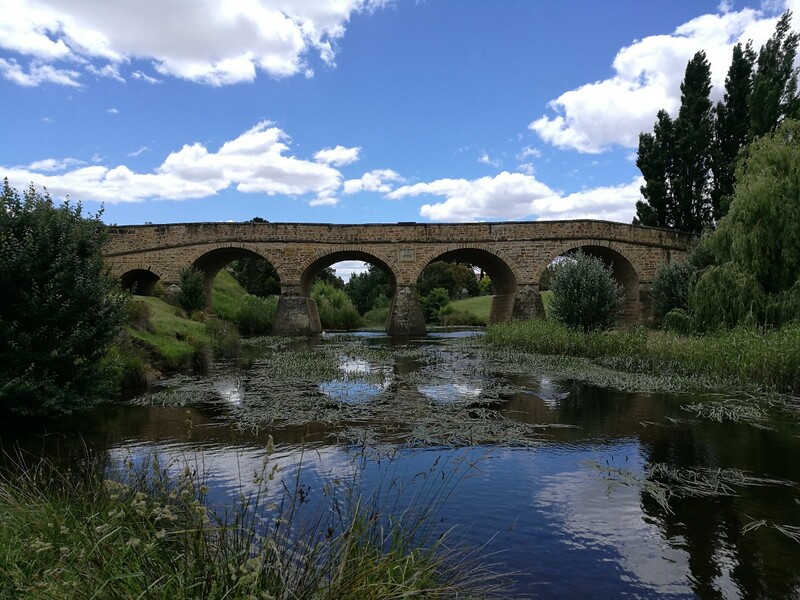 Richmond is the perfect place for a day-trip from Hobart as it’s a gorgeous colonial town only half an hour’s drive from the city. There are so many things to do in Richmond; it’s full of gorgeous shops, cafes and wineries, as well as an old-fashioned lolly shop, the oldest working bridge in Australia and a pretty awesome miniature version of colonial Hobart. The Tasman Peninsula area, and Port Arthur Historic Site in particular is also a great spot to visit if you are heading out of Hobart for the day. 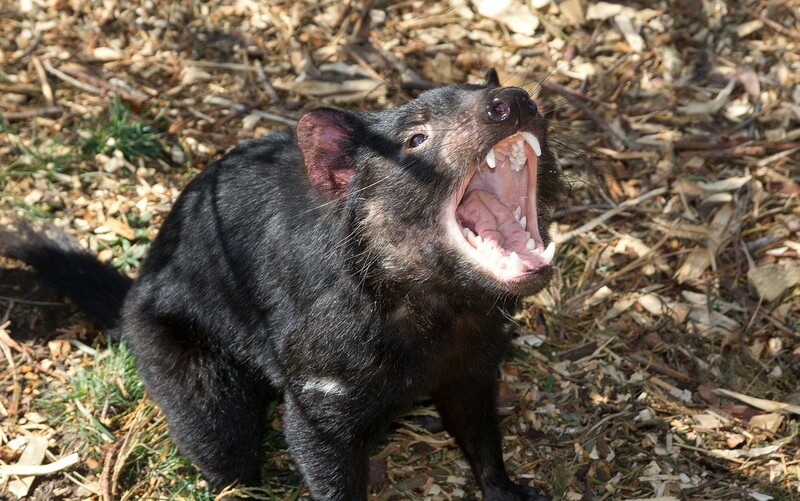 Port Arthur is about a 90 minute drive from Hobart, although you might want to stop off at the Tasmanian Devil Unzoo on your way if you want to see Tasmanian Devils in a sanctuary that is fighting to help preserve these unique little animals! For beach and nature-lovers the East Coast is the perfect place for a day-trip (or overnight stay). Drive up and admire the stunning coastline on your way to Freycinet National Park. You can do a day-walk to world-famous Wineglass Bay or just explore Coles Bay (a cute holiday town) and Friendly Beaches. Make sure you stop in at Kate’s Berry Farm just outside Swansea for some of the most amazing fresh berry creations like ice-cream, jams and chocolates! Bruny Island to the south of Hobart is also a good place for a day-trip. Drive down to Kettering to catch the ferry over to this island which is packed with gorgeous beaches and places to eat fresh Tasmanian Produce. Bruny Island is also perfect for an overnight stay if you have time, because in the evenings at The Neck (the most narrow part of the island) you can see wild Fairy Penguins coming in to nest in the sand-dunes! If you don’t have access to a car but still want to experience something a bit out of Hobart you can always go on a Peppermint Bay cruise! 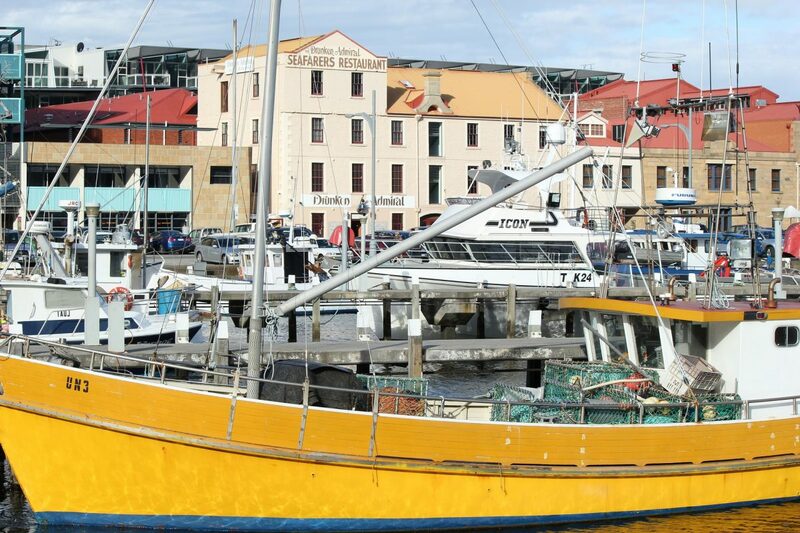 These cruises leave from the Brooke Street Pier on the Hobart waterfront and can include lunch if you want. The cruise will take you down alongside Bruny Island and you might see dolphins, seals or whales at the right time of year! Then you can explore the cute village of Woodbridge before returning to Hobart in the afternoon. It’s also a great way to see the city of Hobart, Mount Wellington and surrounds from a different viewpoint. As Tassie is so small, you can visit most places on the island from Hobart. So if your dream is to summit Cradle Mountain or visit the wild east coast, you should be able to do it in a day trip from Hobart! Hostel: Montacute Boutique Bunkhouse will completely change your perception of Hostels. Ran by a Tasmanian couple, the hostel has comfy beds with high quality linen, towels and individual reading lights and plugs. You could also opt to stay in a private room. The hostel has a kitchen, a sitting room with a log fire – perfect for those cold Tasmanian nights! – BBQs and balconies with mountain views. Mid-Range: Riverfront Motel & Villas is located close to MONA and has a mix of motel-style and villa accommodation. Enjoy laundry facilties, BBQ and a restaurant and bar. Luxury: Ibis Styles Hobart is a great spot for those wanting to relax and unwind during their weekend in Hobart. Guests can enjoy a swimming pool and a fitness centre as well as state of the art designed rooms – but when you do decide to leave, it’s only a short walk to Salamanca Markets and the city centre. If you’re just visiting Hobart city, you’ll only need a few essentials other than your staple weekend away kit. A rain poncho – it can get wet in Hobart! 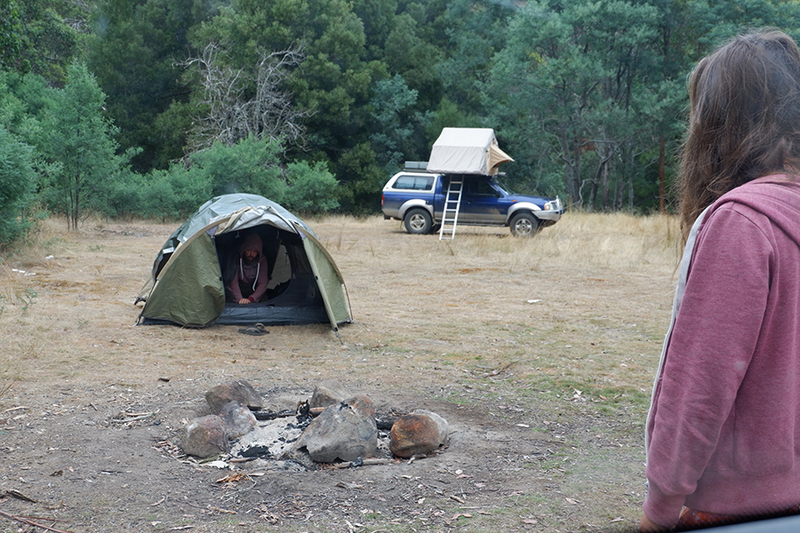 See my Australia packing list for more ideas on what to bring, and if you are camping throughout Tasmania I highly recommend shopping at Wild Earth. Keen to see more of Australia? From Hobart, you can travel more of Tasmania, or head to other Australian cities – Melbourne is the closest (can be reached by flight or the Spirit of Tasmania boat) and Adelaide and Sydney are accessible by flying as well. 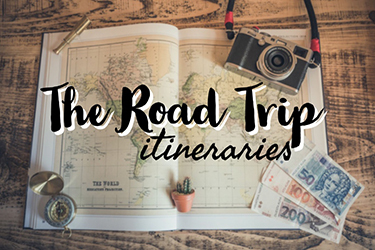 From Adelaide you could road trip across the Nullarbor to Western Australia or through the centre, to Coober Pedy, Uluru and Alice Springs and eventually up to Darwin or from Sydney you could head up the east coast – the possibilities are endless! Kristy grew up in Tasmania before moving to London on a youth mobility visa. 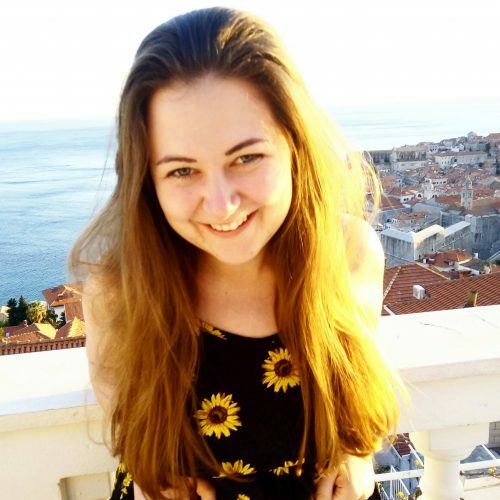 While living in London she fell in love with a Dutchman and now lives in the Netherlands with him, where she blogs about travel and expat life at Tassie Devil Abroad. She is obsessed with anything nerdy or geeky and is on a mission to visit as many European castles as possible. 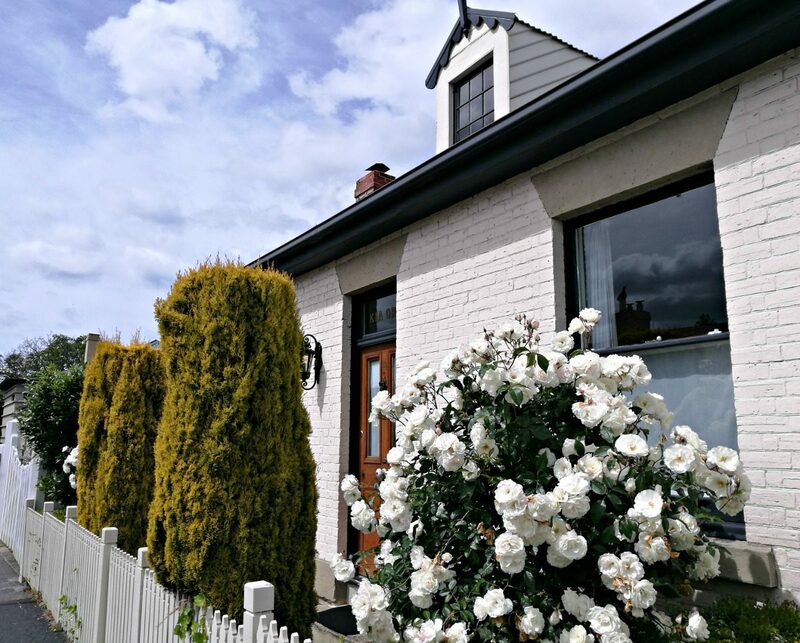 You can read more about her favourite places in her home-state of Tasmania, as well as her European explorations, on her website Tassie Devil Abroad. Pin me if you’re happy! Thank you Kristy, I have just booked a 4 day in Hobart going to hire a car, and found your information on what to see and where to go very interesting. It has helped me alot and once again I thankyou, my friend – Lady and I are quite looking forward to it sound so fascinating. We are also going to drive to other parts of the Island. Leaving in March. 2019. All the best to you. Promised myself that I would do this before I get too much older. Regards Margaret. Hi Sharon, I’m glad it could help! Have you seen my Tasmania itinerary too? To be completely honest Launceston to me wasn’t really worth the drive. Freycinet and Bay of Fires are amazing though! There are some shorter walks in the Cradle Mountain/ Lake St Clair area which might be of interest. Or Mount Field is close-ish to Hobart and has some great trees and waterfalls! Stanley and the northern beaches are nice if it’s sunny as well. There is also the Tasman Peninsula, which you could do if you’re sticking to the east, but it’s a bit of a journey.